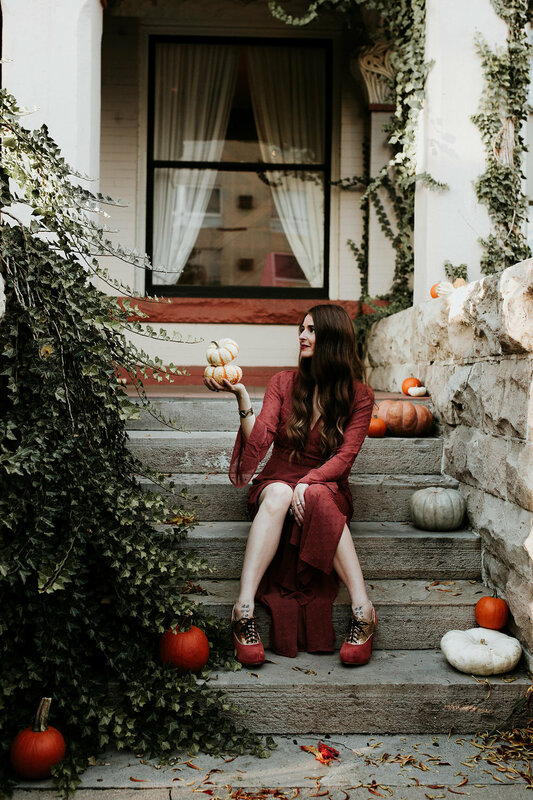 I love the smell of the crisp autumn air, the leaves changing and blowing in the wind, and last but not least, all the fall dresses. This dress is from Vida Moulin, a boutique from my hometime, Phoenix. I wore it this past weekend to a wedding, and it made for the BEST shake your booty dress. Perry and I had a blast dancing, and I loved how the lightweight material of this dress made it easy for me to twirl around and salsa dance in. 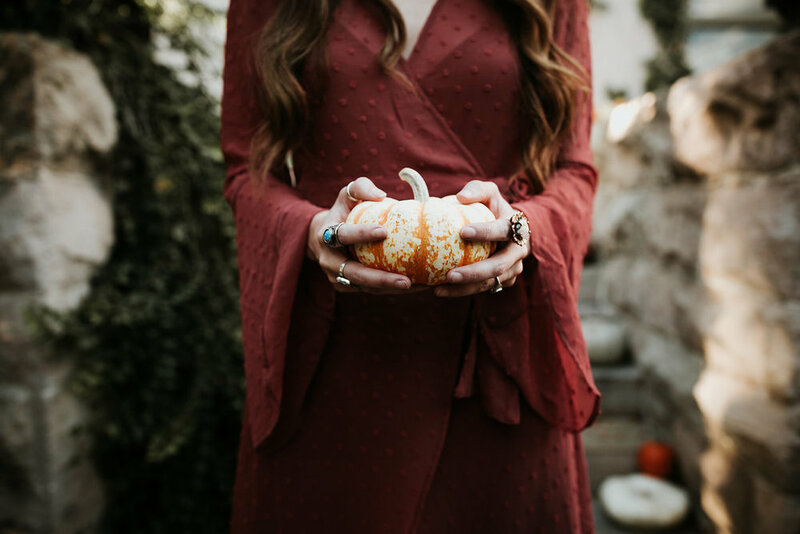 This dress would also be so great if you are a nursing mama OR better yet, if you are a nursing mama who needs a last minute Halloween costume. Just pair this dress with witches a hat, and I promise you that you will be the cutest witch on the block. *I have had a lot of questions about these shoes. Sorry guys, I found them at a Buffalo Exchange about ten years ago. But just for fun, I put together a list of shoes that would be fun to pair with this dress or any dress in the fall for that matter.